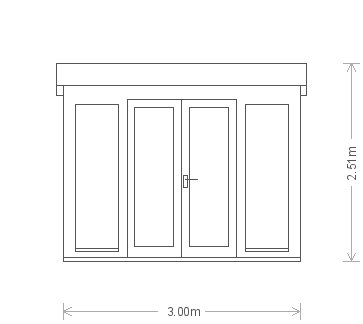 This contemporary garden studio is from our range of FSC® certified timber garden buildings, with a pent roof and several fully-glazed windows adding to the modern aesthetic. 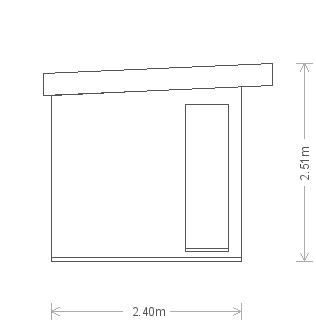 Measuring 2.4 x 3.0m, the studio is roofed with heavy-duty, heat-bonded felt and boasts double glazing. 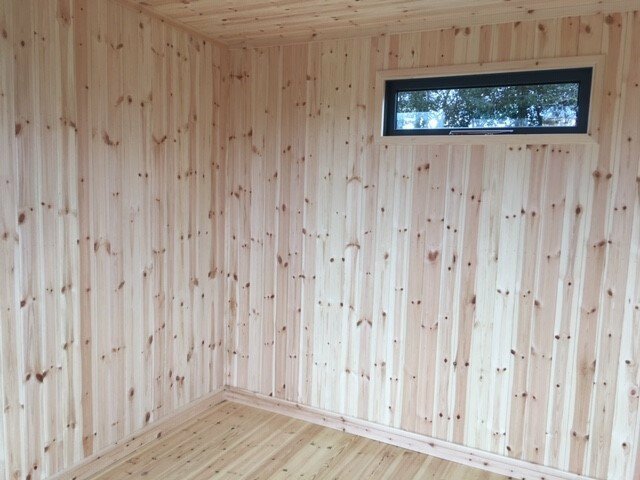 The interior is insulated and lined in both the walls and ceiling as standard, with cosy natural pine lining. 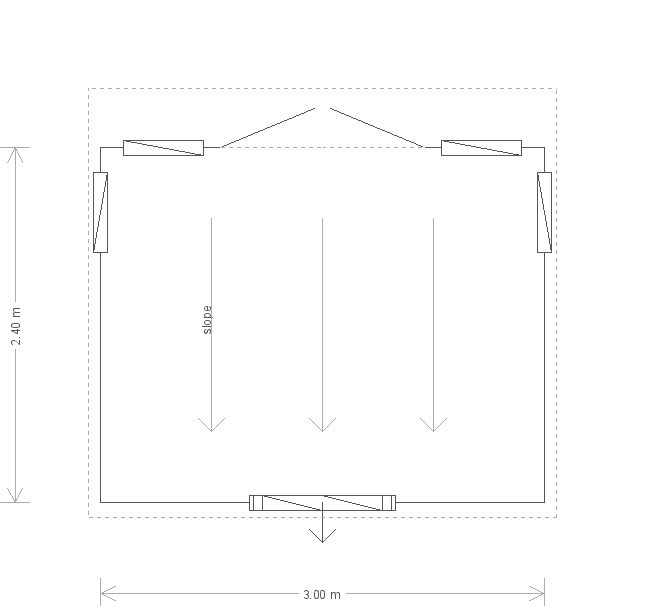 In order to see this building for yourself, we warmly invite you to our Cranleigh showsite. 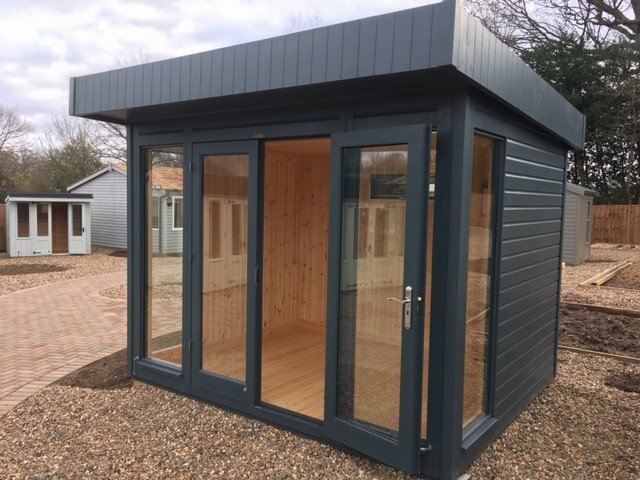 This compact and attractive Garden Studio was recently assembled at a customer's address by our in-house installations team after being selected from our range of FSC® certified timber buildings. 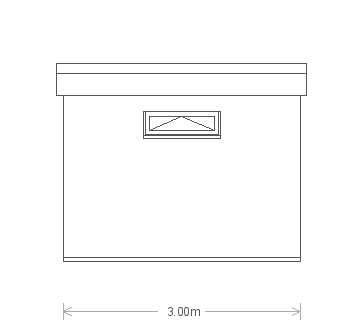 Measuring 6 x 10ft, this is one of the more compact sizes that is perfect for a work-from-home office or cosy retreat. This stylish Salthouse Studio was recently installed for a customer based in Chelsea, Greater London. 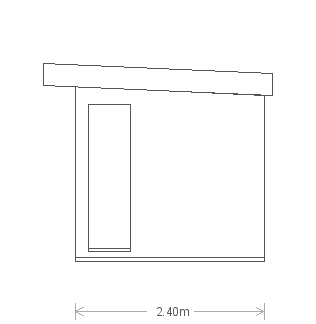 Measuring 2.4 x 4.6m and having a pent roof with a slight overhang, the Salthouse is the ideal option for an artist’s studio or a work-from-home office.